When most people start a new church, I assume they do some pre-planning before their first Sunday. St Francis (the West Ashley Episcopalians) were starting from scratch with people in need for an Episcopal church now. In some cases, we were well suited for this because we had a lot of doers. We had people with experience as a priest, christian formation leader, church organist, altar guild leaders, lectors, LEMs....all the working parts were covered. 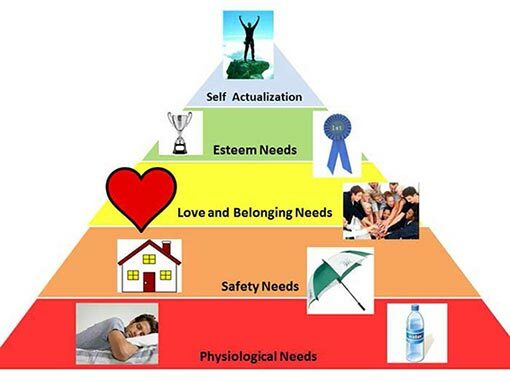 There was some push for us to jump to the love and belonging stage of Maslow's Hierarchy of Needs but we needed to start at the bottom. The first couple weeks were focused on keeping tabs on how everyone was doing emotionally, and having Eucharist (food). Then the helpers came. As Mr. Rogers famously said "Look for the helpers. You will always find people who are helping." We received so much - prayer books (check out the webpage that The Episcopal Church on Edisto made of the inspirational messages they received), hymnals, linens, and lots and lots of prayers. Here are two personal stories of help I have received over the last three years. In the spring of 2013, I was visiting my parents (remember I didn't have a job at this point so I had some free time) in Gloucester, Virginia. We attended Abingdon Epsicopal Church that Sunday, the church that I was confirmed at and my family has attended since 1990. At the offering, their amazing priest, the Rev. Sven vanBaars, told my story and had the loose plate offering that day go to St. Francis. Then after the service he asked me to join him in the parish hall. Sven opened a storage closet and asked me "What do you need? Take anything that will be useful." The love that Abingdon has shown to us over the last few years has been inspirational. They are giving with open arms and we are receiving with open hearts. The connection to The Episcopal Church has also been a huge support. This was seen especially at General Convention last summer. I was honored to serve as a deputy from The Episcopal Church in South Carolina. We were able to share our story and receive many things in return. The friendships that I made have been a buoy on hard days. One of those friends was Nurya Love Parish. She is a priest in Grand Rapids, Michigan and a driving force in the Acts 8 Movement and the Episcopal Faith, Food, and Farm Network. We met over a shared interest in getting anti-racism materials for youth developed. This past fall, my father-in-law passed away after a long illness. This was a very hard time for our family. Dann was from Grand Rapids and has a very large number of family members (whatever you were thinking, triple it) still living there. My mother-in-law, Jann, wanted a church for us to hold a memorial service but we didn't not have a family parish to call. I said, "This is where The Episcopal Church is at its best." I contacted Nurya to see if her church would be available or if she could help me find a place nearby. Within hours we had everything set up and they rolled out the red carpet for us. I will be forever grateful for the love that Nurya and St. Andrew's Episcopal Church, Grand Rapids showed to us at a difficult time. But because we are part of the larger church family, she knows that I will pass it on by helping another family, or her, if ever needed. Through this long road, our needs are being met through people in the community, the diocese, and the "Big C" Church. We have progressed through the hierarchy and have safety (a place to meet) and love and belonging (service together in our community) covered. We will have future needs, some anticipated and some that will surprise us, but we are continuing to walk the road together. I apologize in advance for everyone at General Convention that just got this out of their head but we really are one together! An amazing writing! I loved your rationality in writing. The fund by church financing in USA is very important but before that getting a right lender is important. Isn't it?